I qualified a few weeks ago for the new Lancome Grandiose mascara that was launching. What makes this mascara so different from the rest, is the application wand. It's not your typical straight wand. It actually has a curvature to it, which they have named the swan neck wand. I have to say, when I first opened the mascara, I was a little intimidated. 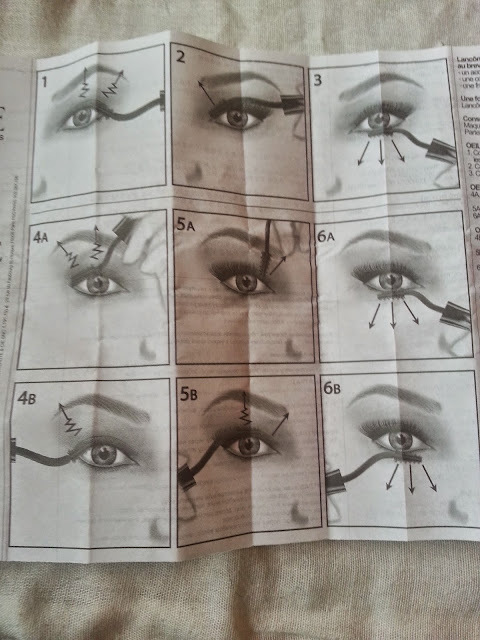 There was a step by step instruction "manual" and the wand itself was so different, I had no idea how to apply it. The instructions are VERY helpful, so I encourage everyone to take a few seconds to read it over before applying, so you can make sure that you get the right experience applying this mascara! The bottle itself is so pretty. I love the top lid because of the rose. It's different from what other mascara companies are doing. The mascara looks so elegant! The wand tip has a plastic tip. I personally prefer these tips opposed to the regular "old school" mascara brushes. I find they work better at separating my lashes, and making them look fuller and longer. I had high expectations for the Grandiose after seeing this. I found that this formula actually made my lashes look longer. I have long lashes naturally so I tend to try and find a mascara that is more volumizing, and will make my lashes look fuller. The Grandiose mascara gives such a pretty fanned out look. I really liked it, however my lashes didn't look volumized. Another downside that I found was that it left my lashes a little clumpy. I brush my lashes out first before applying mascara, and I had to do it again once my mascara dried. I can tell that this will be a very popular mascara. It really does give a lot of length, with very easy use for application, even though it looks so different. I think people with short lashes will enjoy this product more because of the length it gives. Rating this, I would give it an A. It does give the length that it promises, it also didn't flake. However I found that it didn't give me a lot of volume, and the formula did give me some clumps. If it did give my lashes my fullness, I would have rated it an A+, because clumps can be brushed out. 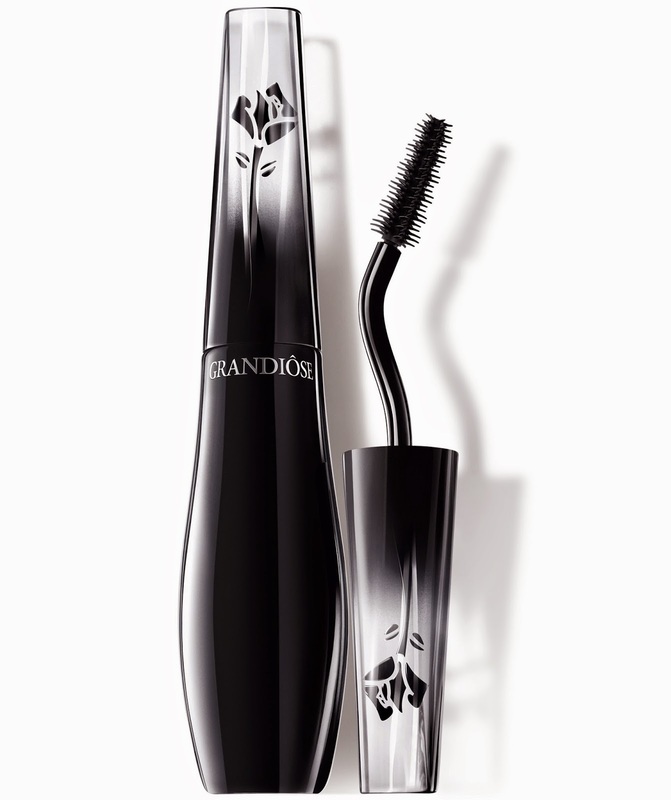 The Lancome Grandiose Mascara is more on the expensive side, retailing for $35 on the Sephora Canada website. Wow what a nice item from Influenster! I am still crossing fingers I get something from them. 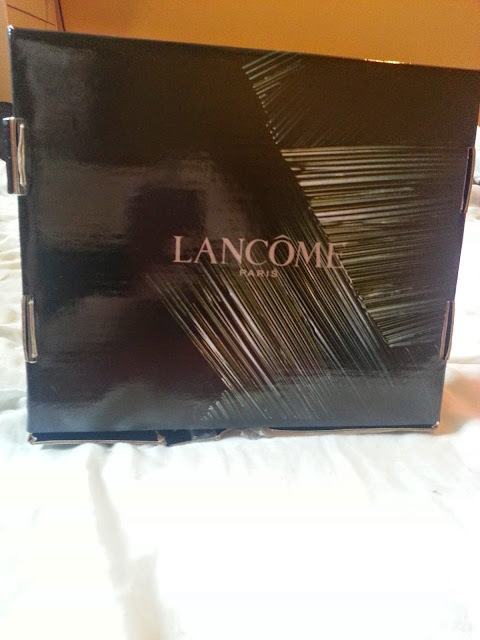 I LOVE Lancome! Great post! I was surprised I was picked! I usually don't purchase Lancome products but I really liked this one! :) Hopefully you get picked for something soon! Ipsy - September 2014 - Sneak Peeks!